In recent years, London has experienced rapid corporate and startup growth. Despite the UK's vote to leave the European Union, it was ranked as Forbes' Best Countries for Business in 2018. To support the UK's growing workforce, London is host to the country's most creative event spaces, corporate venues, and innovation centres. "London is the most connected city on the planet with unparalleled culture and a greater breadth of unique venues than any other city," says Chris Lynn at London and Partners. Are you interested in hiring an event or workshop space in London? Before booking, there is some preparatory work to be done. How many attendees are you expecting? What services and amenities are you looking for in the venue? Are you planning on having catering? What is your maximum budget? As you prepare for your event, the first step is to find a meeting venue. Look at the map and consider the venue's proximity to attendees' homes and workplaces. Are your attendees travelling from out of town? Look for venues near transport links from major airports, train stations, and bus terminals. If you're hosting a multi-day event, select a venue within walking distance of popular hotels. Located at the heart of London's vibrant core, RocketSpace is in Zone 1, just steps from Angel Tube Station. With convenient access to public transportation and world-class accommodations, there is no better modern conference venue in London. How many event attendees are you anticipating? Keeping a headcount is critical to ensure you can comfortably accommodate your guests within the event space. Fire and safety regulations will limit the number of people you can have in one space. Additionally, attendee count will allow you to better budget food, drink, ticket pricing, and branding assets. From small, intimate meetings to large-scale conferences and meet-ups, RocketSpace is built to support up to 350 guests across its diverse venues, including the Theatre, Classroom, Yard, L Room, Media Pods and more. Does the venue provide a support team? Many event venues will provide tech and event support teams to assist with day-of operations. An in-house team is a valuable asset, especially when you lack the staff or personnel to manage the event yourself. Additionally, support teams can answer any questions you might have before, during, and after your event. Does the venue provide tables, chairs, and linens? If a venue has these items, you will enjoy some great cost-savings. Some event venues will even offer branded items — table covers, silverware — to match your event's theme. What audio-visual capabilities does the venue offer? Most venues offer built-in audio and visual components including projectors, television monitors, mics, lighting, and more. Find a venue that delivers high-speed internet connectivity with plenty of extra broadband to support your guests. Can the venue be configured? Some venues are built-to-suit. Are you looking for a more casual venue or one that can be configured to meet your exact specifications and requirements? Providing quality food and drink to your guests ensures they stay alert and hydrated. Most venues offer in-house catering or provide you with a list of approved vendors. In some instances, if you're looking for a little more flexibility the venue may permit you to bring in a third-party provider if you agree to pay a buy-out fee. RocketSpace delivers a variety in-house catering options suited for all budgets. From delicious nutritious dishes and drinks, guests can choose from a unique variety of specially prepared cuisines and provisions suited for all dietary needs. Cost is one of the biggest considerations that event organisers must consider. If you have a limited budget, prioritise low-cost event spaces. If you're interested in a more lavish affair to really impress, be sure to allocate the appropriate capital. Always plan for additional add-ons or unexpected expenditures. Be honest with the venue and they will do all they can to make your event possible within your budget. 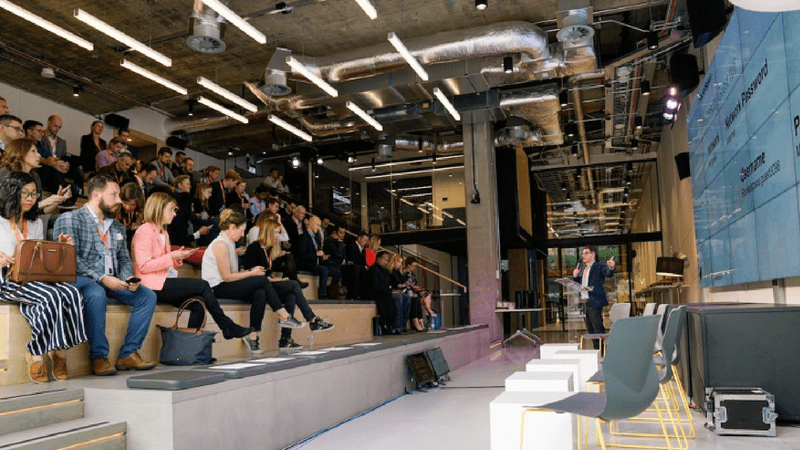 Starting at just £49 + VAT per delegate, RocketSpace offers affordable London event space for industry-leading corporates, small businesses, and startups. 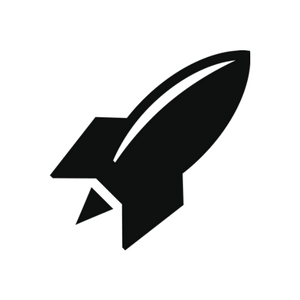 RocketSpace is an industry-leading hub of technological innovation and discovery. Our community supports tech startups with next-generation coworking space, growth-oriented programming, and modern amenities. 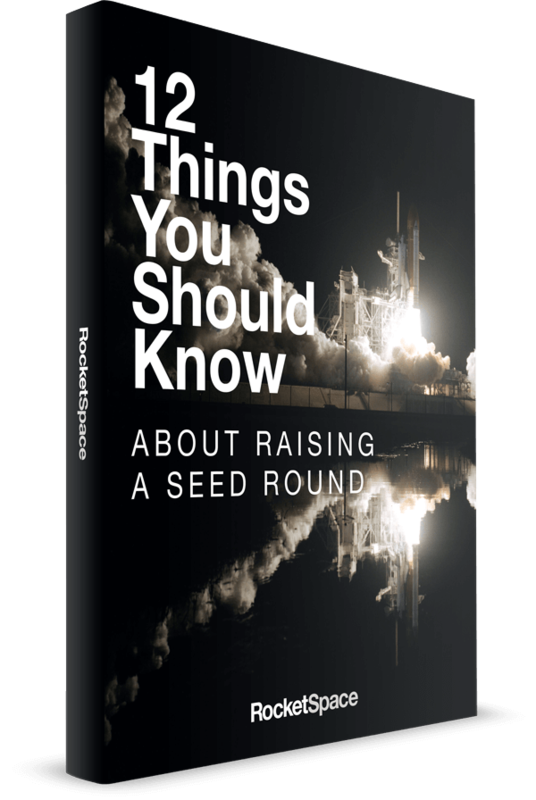 Additionally, RocketSpace provides world-class innovation services to the world's largest and most successful corporate entities. Beyond these offerings, RocketSpace offers convenient and affordable venues built to support a variety of meetings and events including conferences, seminars, awards programs, panel discussions and pitching. With access to green outdoor space, fully catered food and drink experiences, and the latest in technological innovation, RocketSpace is the ideal location to host your next gathering. Interested in hiring space for your next event? Complete our Event Request Form, and a member of our team will contact you shortly.